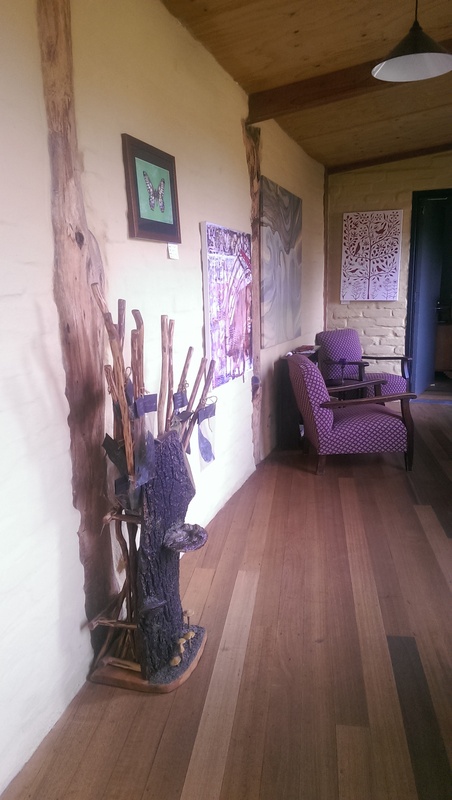 My family and I took some time out to rejuvenate over Valentine's Day weekend, booking a room at The Great Ocean Eco Lodge, tucked away in Cape Otway, Victoria. The Great Ocean Eco Lodge offers a particularly unique stay to guests interested in a peaceful retreat, situated in close proximity to popular tourist activities on the Great Ocean Road. With a limit of 5 rooms available to book at any one time, we were welcomed into a luxurious manor, furnished with local art (available to buy) and filled with a mixture of vintage and antique pieces. 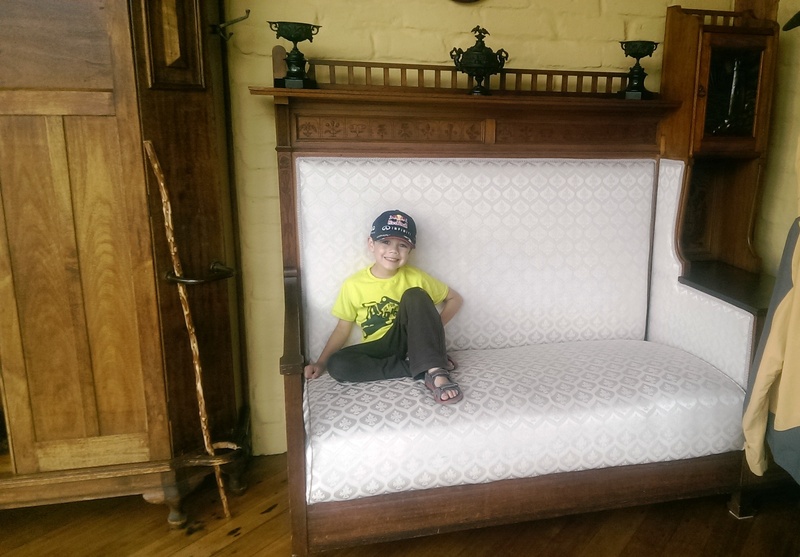 Our room, situated on the top floor of the lodge came with a double bed, plus fold out for our eldest son (extra cost) each presented with fresh linen. 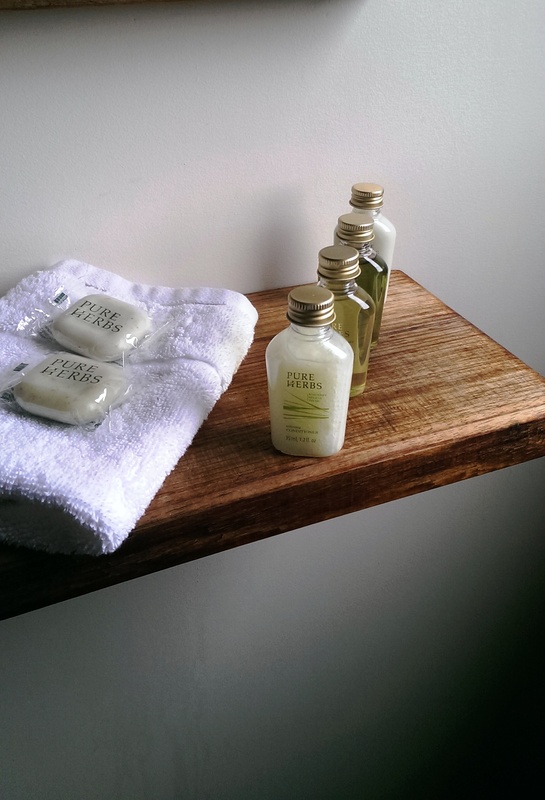 Tea and coffee making facilities were positioned on an antique dresser, and our large ensuite bathroom filled with fresh towels and toiletries made with plant based natural ingredients. Remembering this is an eco lodge, there are no televisions in guest rooms, entertainment can instead be found within the property's natural environment. We were spoiled by beautiful views filled with bouncing kangaroos along the horizon, and grazing roos outside the living room window come dusk and dawn. Being much more intimate than a hotel, guests are encouraged to mingle and share their experiences around one large communal dining table at breakfast and dinner. We shared mealtimes with British, European and North American visitors as we talked about our respective worldly lives and travel adventures. The Great Ocean Eco Lodge provides a very high standard of home cooked meals, made with either vegetables grown within the property grounds, or locally sourced ingredients. 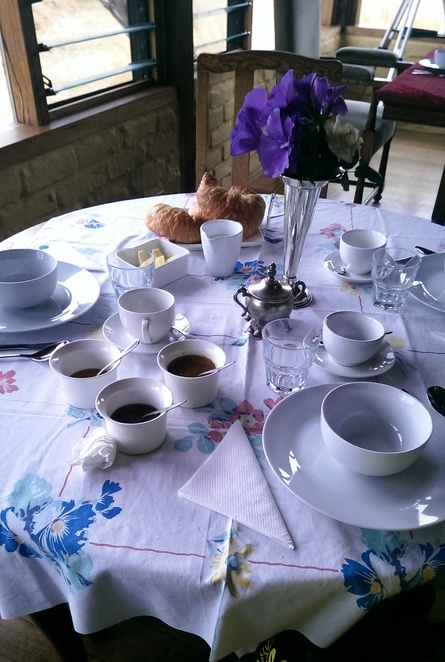 For breakfast, we were served fresh home baked croissants, toast with home made jam and marmalade, muesli and a variety of cereals. Tea, coffee and orange juice offered for refreshments. Afternoon tea, usually around 4pm consisted of fresh baked cake, teas and coffees, which fill tummies prior to dinner. For evening meals, meat eaters will not be disappointed, and vegetarians are catered for. 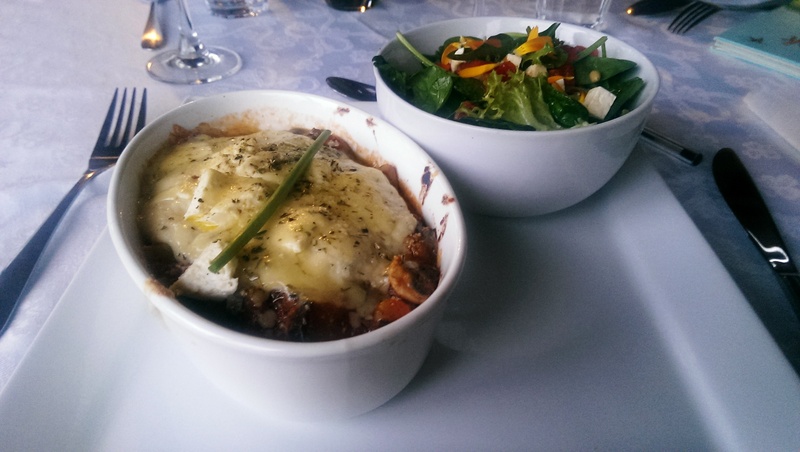 For my first evening meal I chose a delicious pine nut and spinach risotto, and second meal a beautiful vegetarian moussaka. 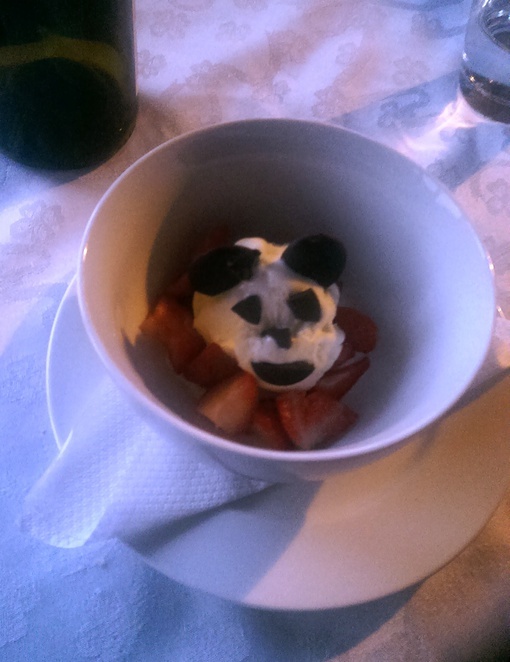 We put forward a request for our picky-eating son, to which he received home made chicken nuggets and chips, he polished the lot and loved his koala face ice-cream dessert! 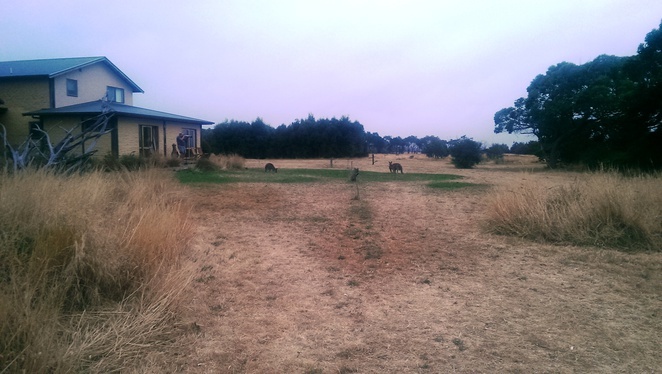 We were more than satisfied with the food provided by the lodge, and really appreciated watching kangaroos grazing just outside the window during evening meals. 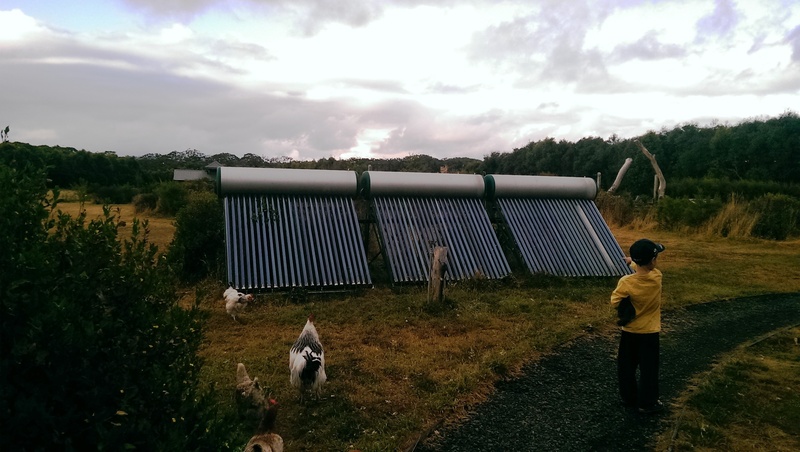 Other than solar power, a recycled water system and locally sourced food, what really puts the 'Eco' into The Great Ocean Eco Lodge is its association with the Conservation Ecology Trust, a social enterprise which supports Australian flora and fauna. 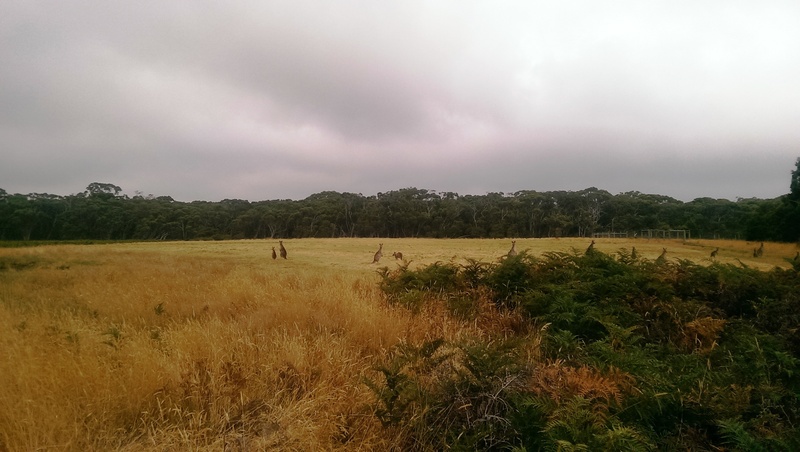 You can read all about the conservation projects happening within the property grounds here. 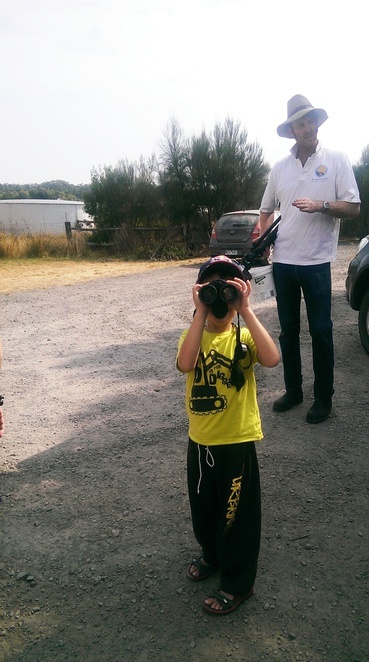 We took part in the Guided Dusk Walk offered to guests every evening, a gentle paced informative stroll explaining the conservation work and research taking place on the grounds of the Great Ocean Ecolodge, binoculars provided. 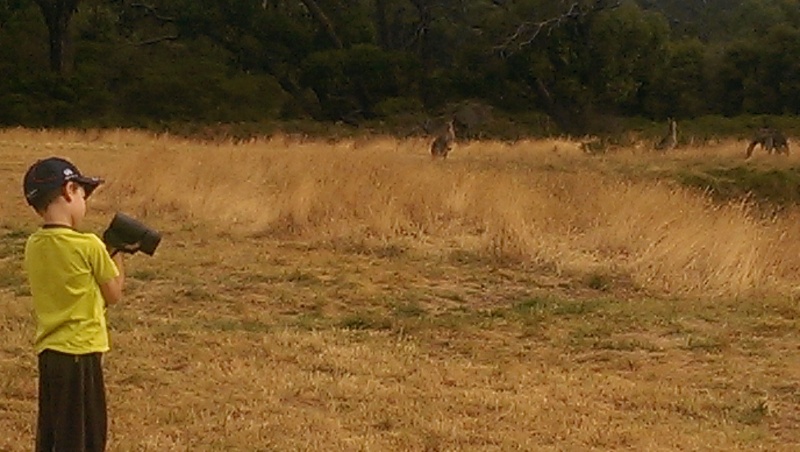 We were met with bountiful kangaroos and observed plenty of koalas and various bird species. We were particularly fond of our rare treat to get up close and personal with the endangered Tiger Quoll. 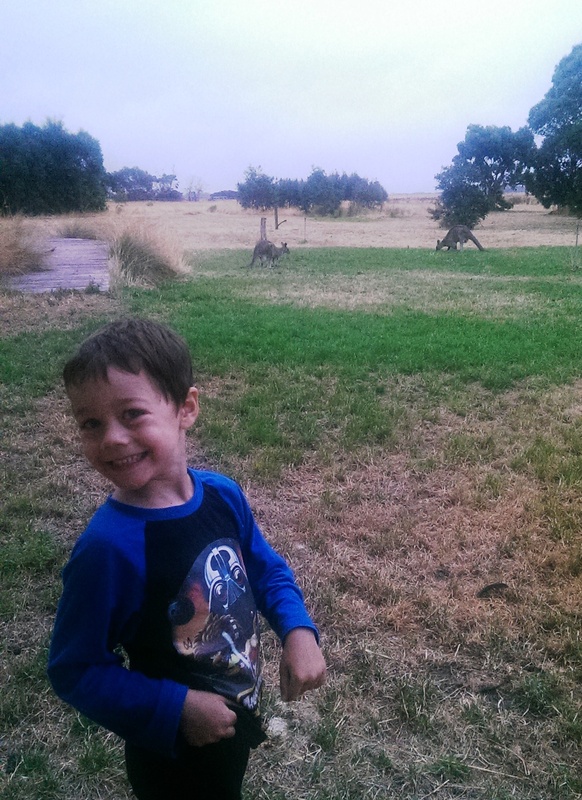 At the time, we were the only family with small children staying at the lodge, however, taking a snippet from the brochure, "Children are environmentalists of the future and we welcome them", children are welcomed and families encouraged to stay. 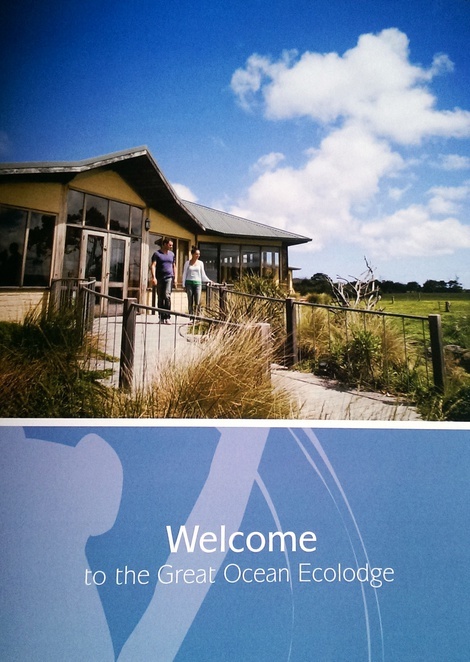 The Great Ocean Eco Lodge really is a special place, and has rightfully achieved prestigious awards and accreditations. 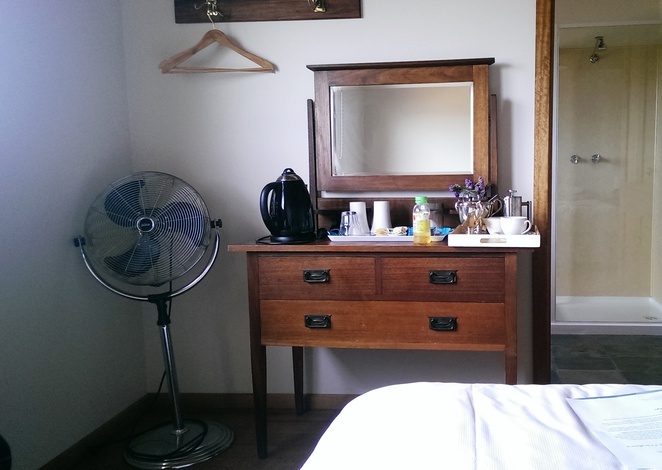 We thoroughly enjoyed our environmentally focused intimate stay, run by dedicated staff that are obviously very passionate about the important work they do. Due to the popularity of the lodge, and handful of rooms available to book, advance reservations are highly recommended. 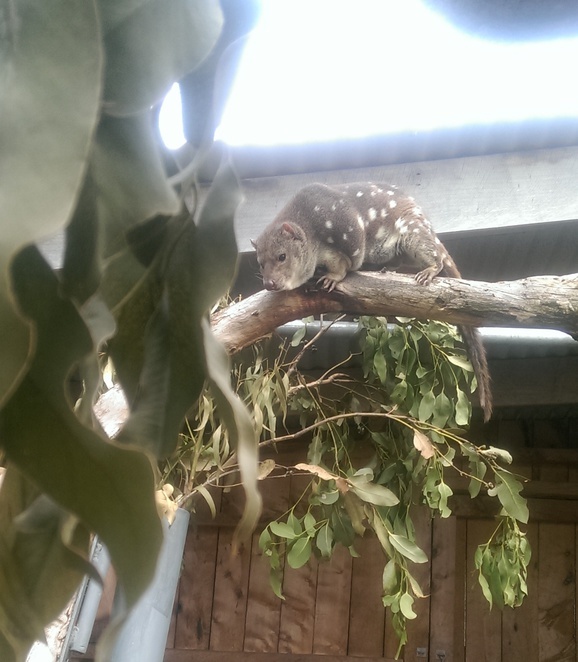 I've never heard of a tiger quoll before; it looks like a very interesting creature.